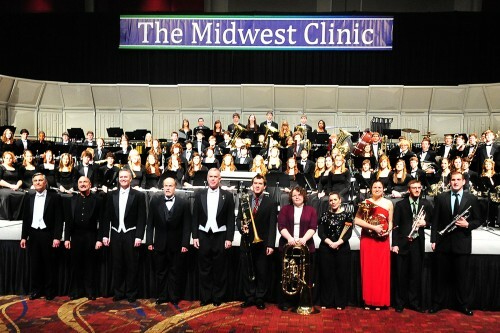 Symphonic Winds Featured at the 2011 Midwest Clinic! 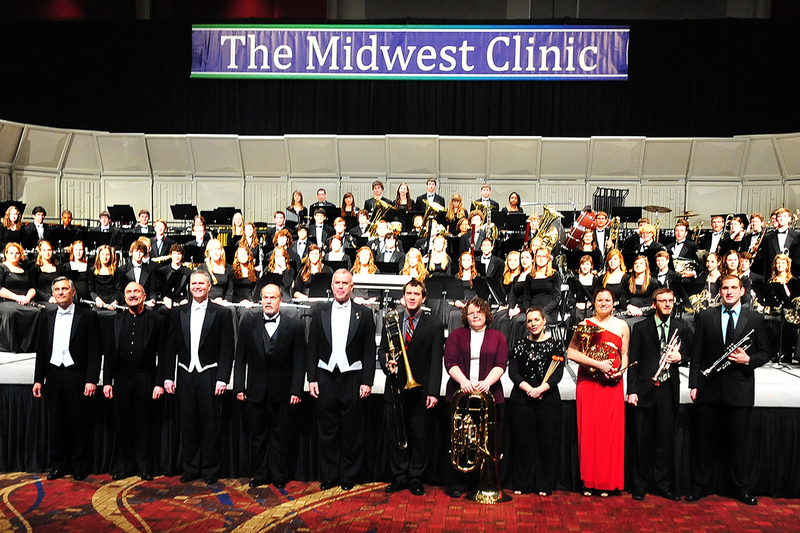 Congratulations to the Lakota West Symphonic Winds on their performance at the 65th Annual Midwest Clinic, the international band and orchestra conference. 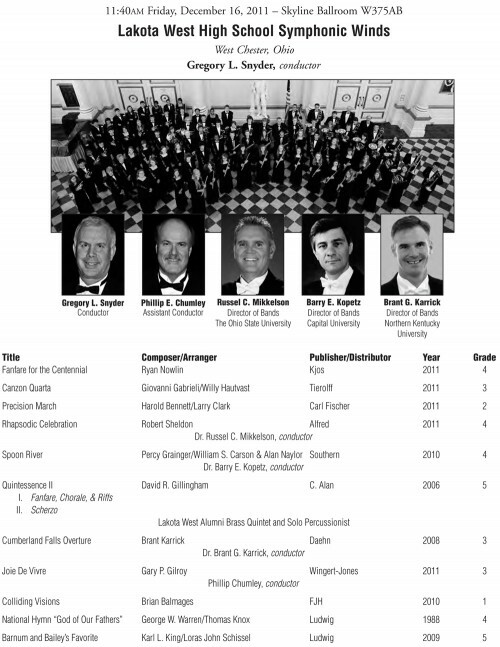 They were one of five high school bands to be featured at this prestigious event. The performance was at McCormick Place Convention Center in Chicago on Friday, December 16. This was the third invitation for Symphonic Winds and by performing this past week they made Ohio history! Information about the 2006 performance can be found HERE. The Midwest Clinic exists for educational purposes exclusively; to raise the standards of music education; to improve the methods employed in music education; to develop new teaching techniques; to disseminate information to school music teachers, directors, supervisors, and others interested in music education to assist in their professional work; to examine, analyze and appraise literature dealing with music; to hold clinics, lectures, and demonstrations for the betterment of music education; and in general, to assist teachers and others interested in music education in ways to better pursue their profession. Nearly 16,000 attend each year, including school, college and university band and orchestra teachers; instrumental music administrators; professional musicians; military musicians and conductors; composers and arrangers, etc. All 50 states are represented, in addition to representatives from more than 30 countries.